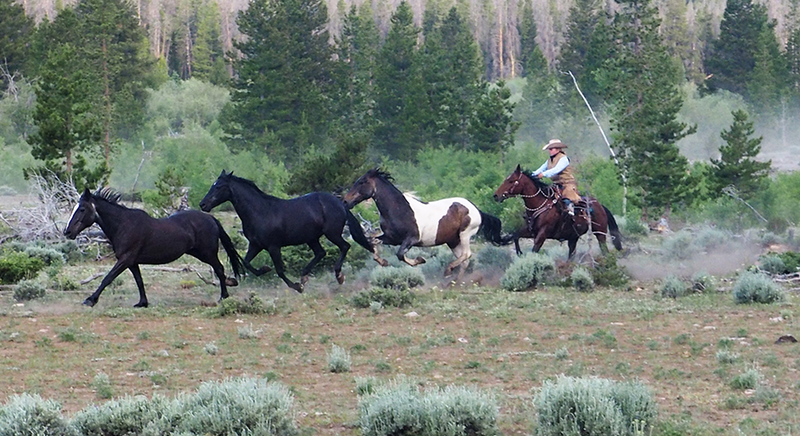 Experience Colorado’s finest at Rawah Guest Ranch—an authentic, all-American western guest ranch and fly fishing lodge nestled in Northern Colorado’s spectacular Laramie River Valley. Join us for an unforgettable vacation, where we hope you’ll arrive as guests and leave as family. We can’t wait to welcome you home. Learn more about Rawah's all-inclusive vacation packages, tailored to every party size and style—from the avid angler to city-girl-turned-cowgirl, Rawah has something for everyone. Known for the rugged and majestic mountains that rise above it and the untouched wilderness that surrounds it, our historic Rawah Ranch is a quintessential Colorado experience. Experience one of the most thrilling traditions of the great cowboy West with a trip to Laramie, WY for the all-American hometown Jubilee days rodeo (July 11-14), or to Cheyenne, WY for “The Daddy of ‘Em All”—Cheyenne Frontier Days, one of the largest national rodeos in North America (Juy 18-23, 25-27).In addition to the ranch's usual itinerary, guests will enjoy a special trip to the rodeo included in the cost of their vacation getaway if booked during those weeks.Special rates may apply. Bring your friends and palate to Rawah for a week full of two of our favorite things—great food and quality bourbon. Throughout the week, enjoy comfort gourmet cuisine expertly paired with award-winning Colorado bourbons.Special rates may apply. In addition to our daily ranch activities, lodging, meals and activities, your angler's retreat includes a private professional guide on each day of your trip, tailored casting instruction, 5-species of trout on the fly, private river access, flies and terminal gear.Special rates apply. Advanced reservations required. Getaway to Rawah for a relaxing week of adventuring without the kids. Enjoy a romantic week away with your special someone. Escape with your closest girlfriends for a quiet mountain retreat. Explore the wilderness with your fishing buddies on an angler's adventure weekend. Our activities will make for great memories and new experiences, ladies and gentleman alike. Look forward to horseback rides among the aspens, leisurely guided hikes, soaking in the spa under the stars, or a private massage in the river cabin.Bookings for adults only.